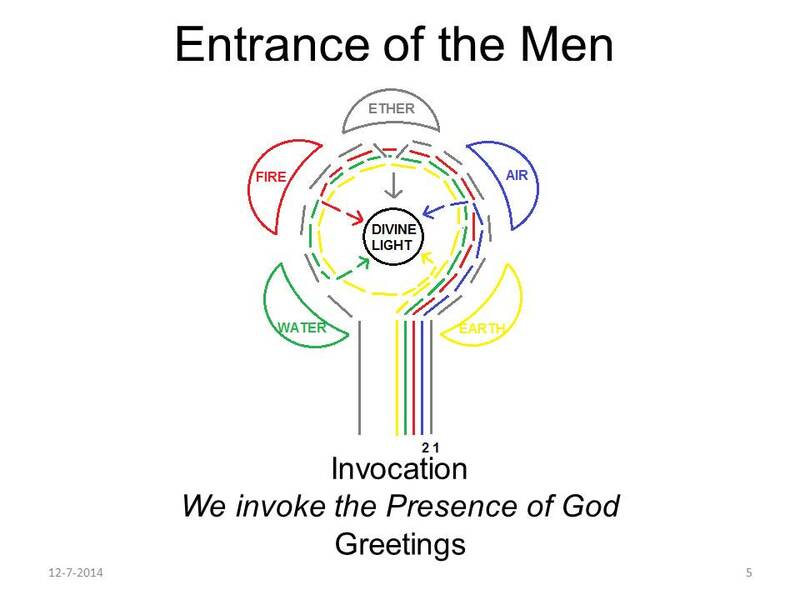 Welcome to the Symbology of the Elements, where we will experiencing the symbolical meaning of the Element Ritual in our daily life by absorbing and doing. 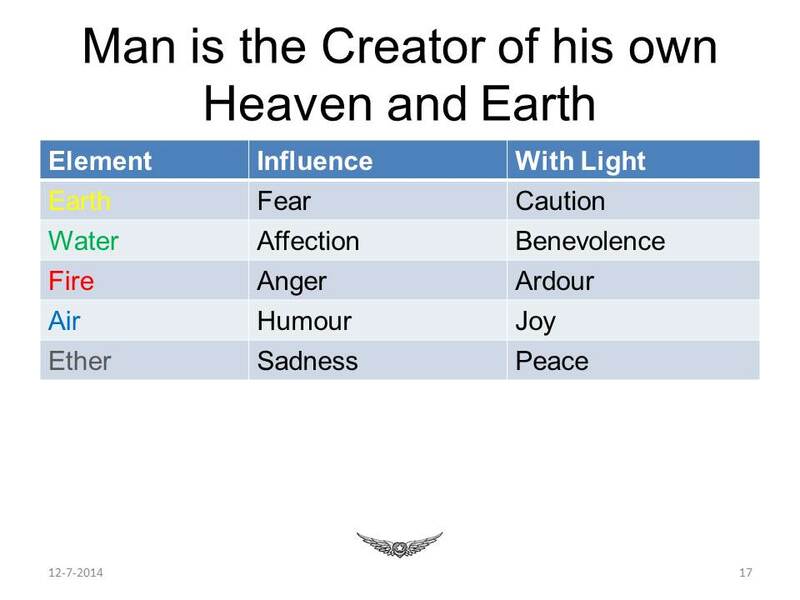 This is what we are going to do (Sheet 2: Program of the Symbology of the Elements – Theme: Man is the Creator of his own Heaven and Earth). A dream of Hazrat Inayat Khan came true! We are performing the Element Ritual, to be exactly: now for 25 years. First, in the beginning of the 20th century Murshid Inayat Khan was helped by Ruth St. Dennis and Isadora Duncan, both famous dancers. The basics for the steps were made, which he teached later to his children. Unfortunately the first World War stopped further progress, but the outline was entrusted to Savitri van Rossum du Chattel, the wife of his younger brother Musheraff Moulamia Khan. Then in 1989, Murshid Hidayat and Sitara Rosdorff developed the choreography in the present form. With enormous thanks to them! Having told you briefly the history of the Element Ritual, I make note that if we search in the teachings of Hazrat Inayat Khan - that is to say: the Volumes, Gathas and Gathekas, yet excluding the Githas, Sangathas and Sangithas - we can already find almost 700 links to the word ‘element’. 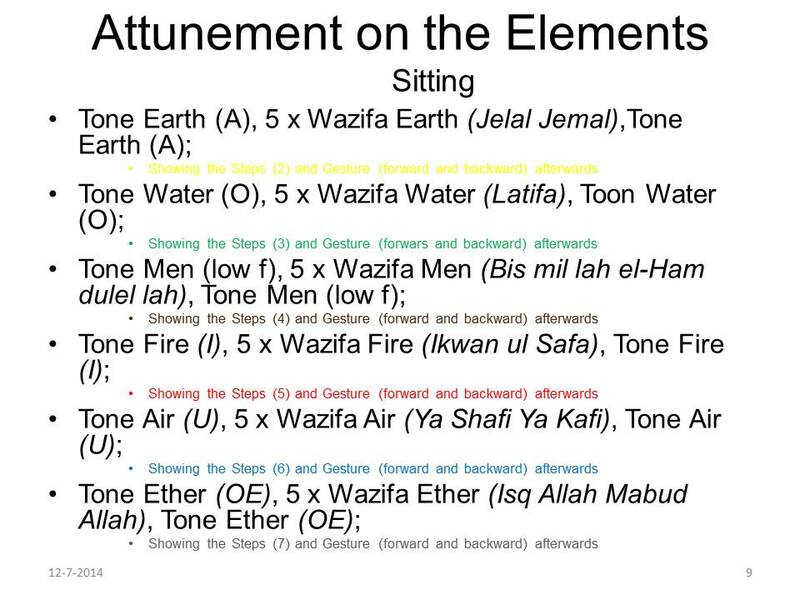 So we have an enormous treasure of information of Hazrat Inayat Khan about the elements, which is used in the Element Ritual. 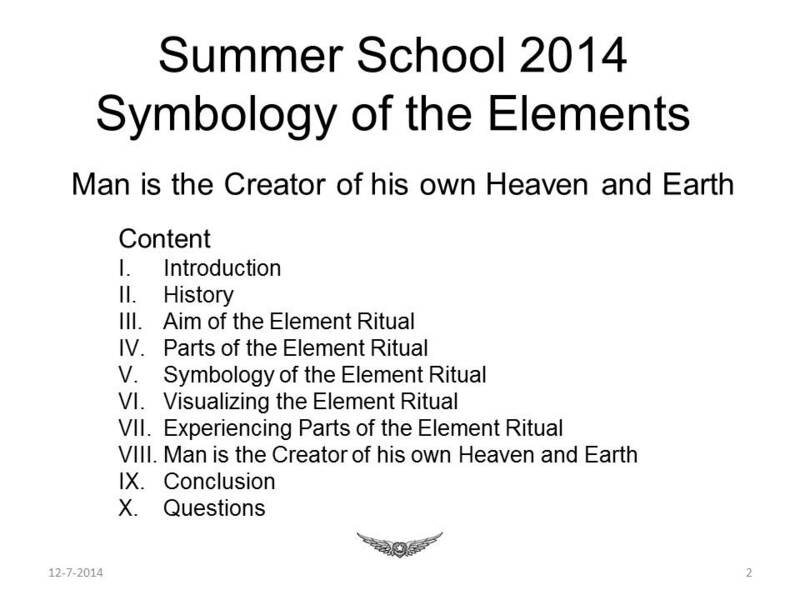 So it is good that we - besides the Element Ritual itself - now also have on the program of the Summer school the Symbology of the Elements. The Element Ritual is inspired by Zoroastrian mysticism and aims at inner alignment on the mystical energy of the five Elements. It is a tribute to the Creator of the five Elements Earth, Water, Fire, Air and Ether. It is a sacred service that combines Prayer, Dance, Sound, Color, Rhythm and Breath. All these components have a symbolic meaning. · For the Element Ether: eternal peace. 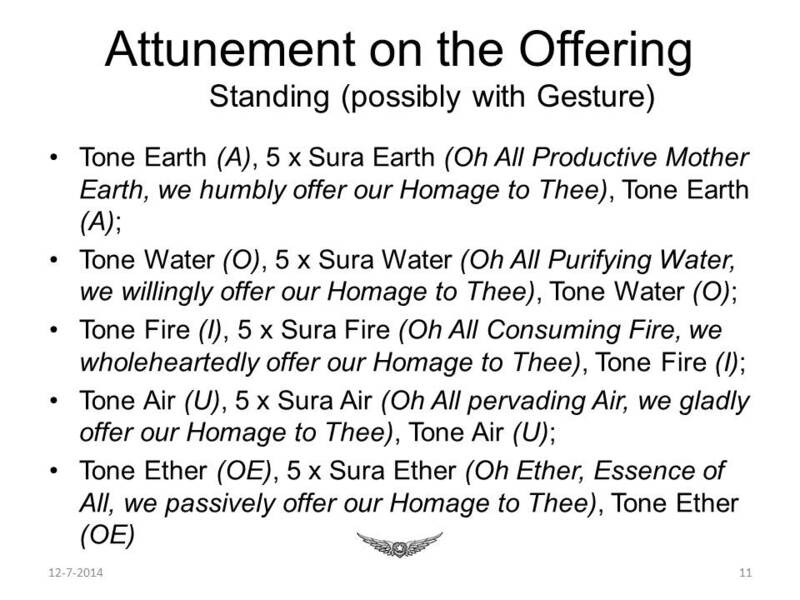 But the Element Ritual also aims that the participants rise above the Elements and surrender to the Creator. 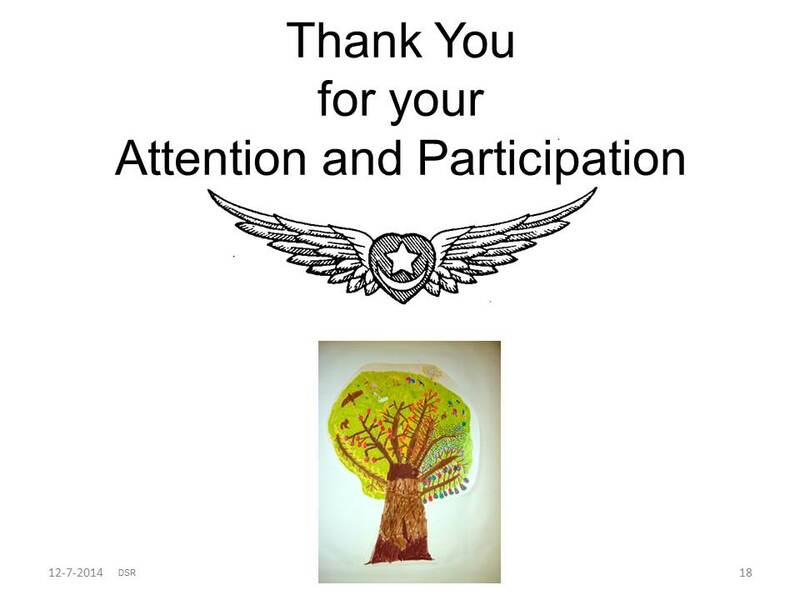 · Fourthly we look at collective experience compared to individual experience. The Element Ritual is both a collective and individual expression of a religious and mystical experience. 6. Finally, the men and women say together a Wazifa. 8. 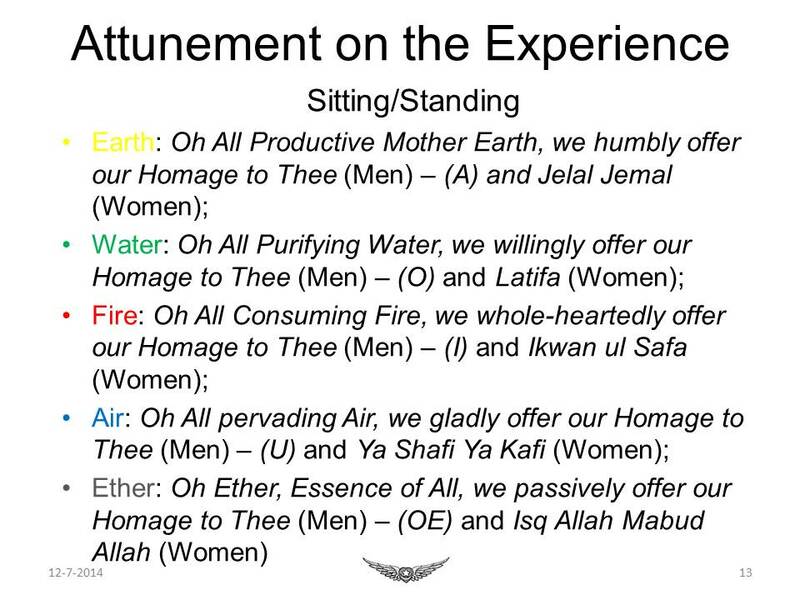 The men andwomen conclude the Element Ritual by bringing tribute to the Creator, expressed in a Wazifa. 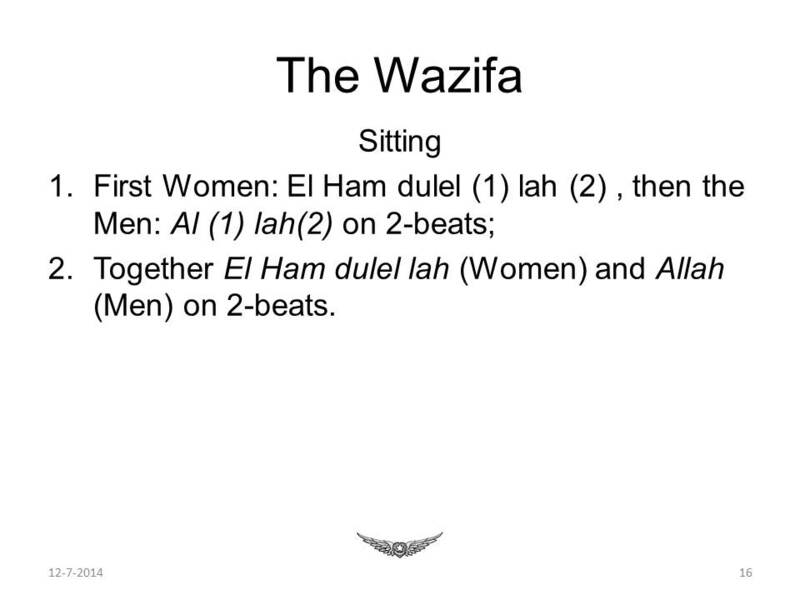 TheWazifa of the Earth is JelalJemal: the male and the female facet. 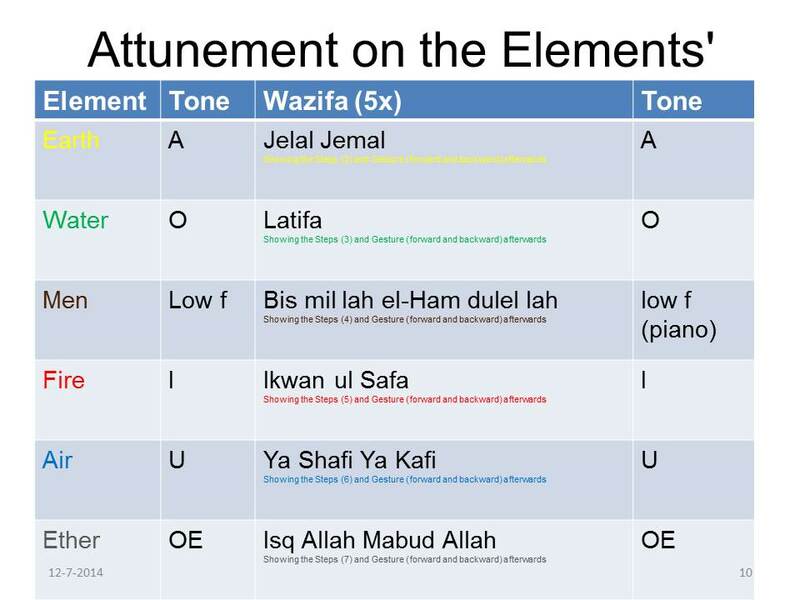 The Wazifa of the Water is Latifa: the fluency. 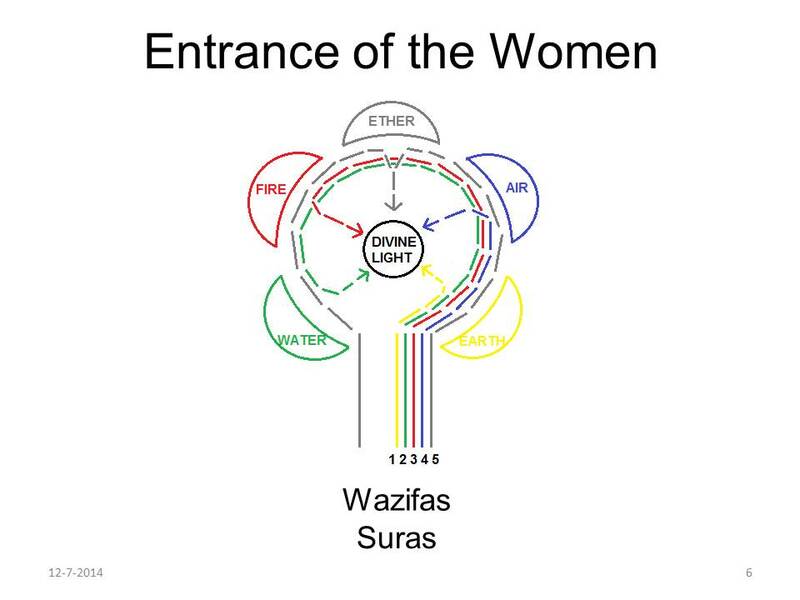 The Wazifa of Fire is Ikwan ul Safa: the Brother- en Sisterhood of Purity. 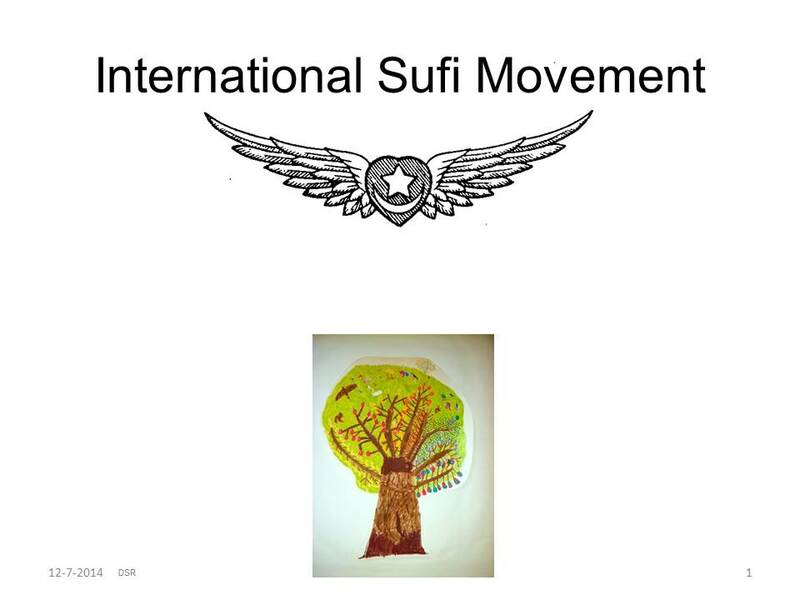 The Wazifa of the Air is Ya Shafi Ya Kafi: the healing power of God, the all-pervading life of God. The Wazifa of the Ether is Ishq Allah Mabud Allah: God is Love, Lover and Beloved. The Wazifa of the Men is: Bis mil lah el-Ham dulel lah: meaning “In the name of God, all praise to God." 7. 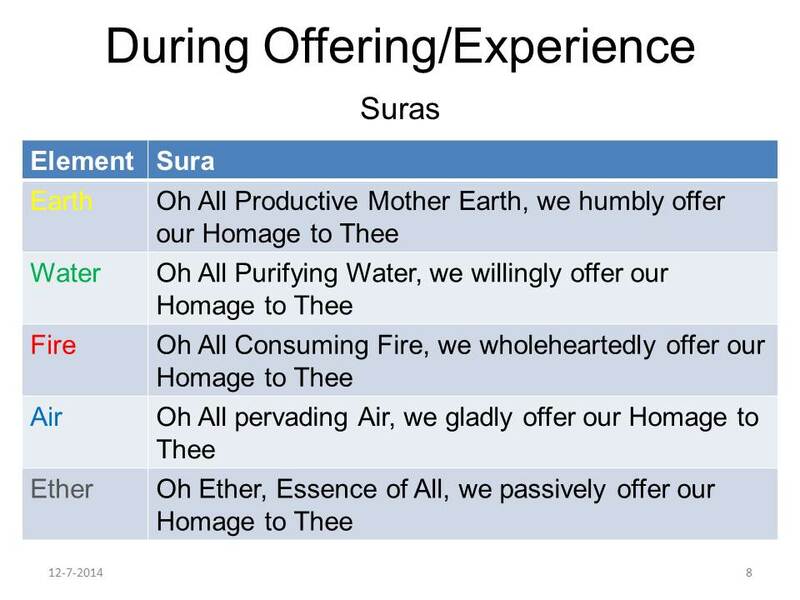 Sheet 8 of the Suras during Offering (by the Women) and Experience of the Elements (by the Men). Now we will joining some adapted parts of the Element Ritual. 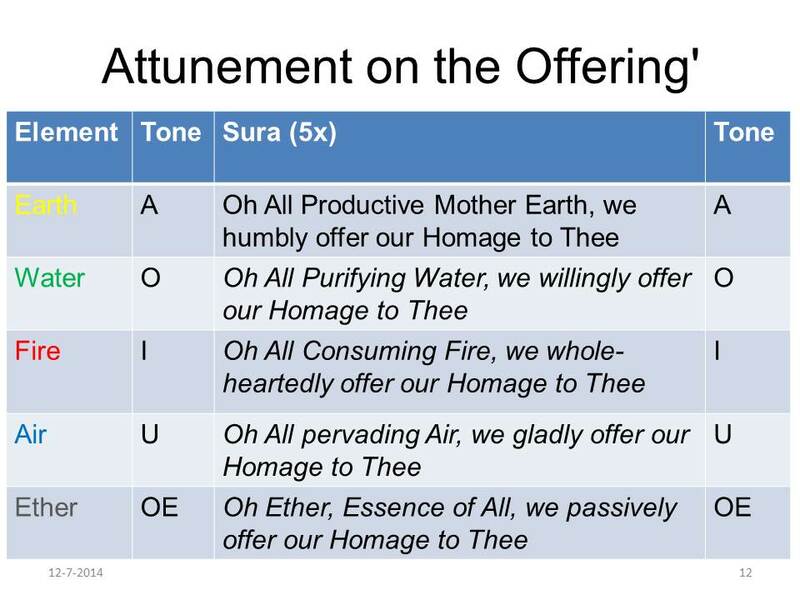 We start with an attunement on the Elements, followed by an attunement on the Offering and on the Experience of the Elements. 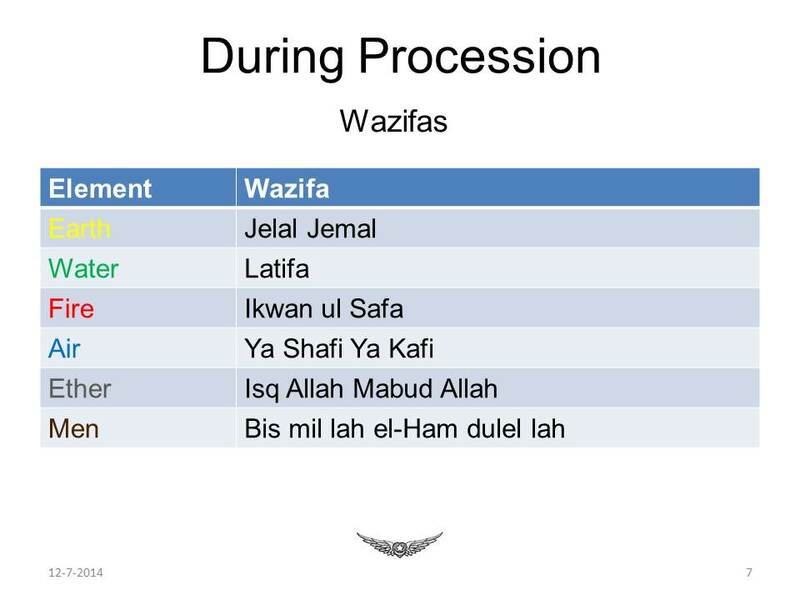 Then we will participate in the Blending of Tones and finally we will do together a Wazifa. I will use a keyboard to give the pitch. · Together El Ham dulel lah (Women) and Allah (Men). On the screen we saw in the beginning the phrase ‘Man is the Creator of his own Heaven and Earth’. 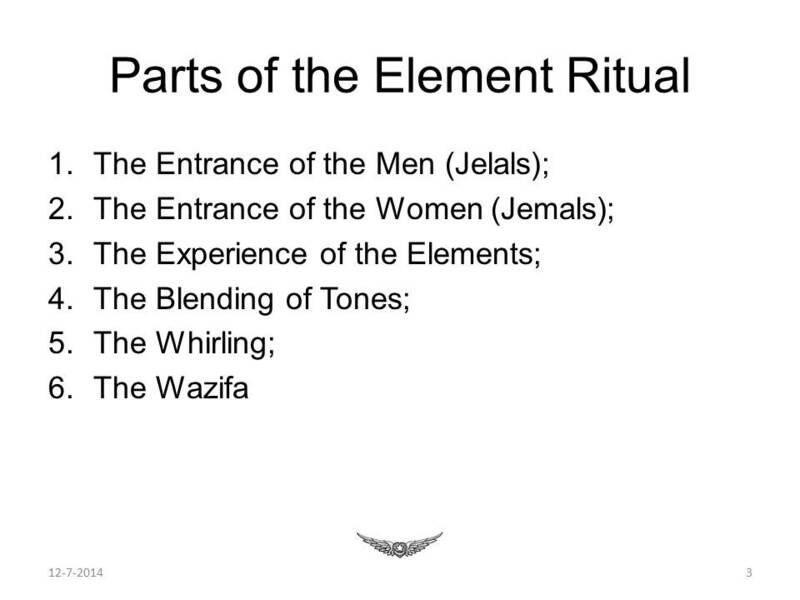 Why this theme for the ‘Symbology of the Elements’ in relation to the Element Ritual? Because we can experience continually the influence of the Elements in our daily life! “Until we know ourselves, we cannot know about others”: says Hazrat Inayat Khan. Godhas made his Creation with the forces of the Five Elements. Everyone has a certain horoscope related to these Elements, the position of the planets at that time of his birth by which one is influenced during his life. Every time, every day, every hour gives a different picture of how the sky looks. Thus, Earth, Water, Fire, Air and Ether, one or more of these Elements are the most determinative in our life. Yet there is also an hourly Element that has superior importance. Therefore the Elements need to be kept our friend! The constant change of the breath determines the influence of the Elements Earth, Water, Fire, Air and Ether and hence our desires and emotions. “The source of our emotions is our breath, whose impurity brings confusion, and whose purity produces radiance.” Just as pure Water improves health, a pure breath gives life and light. If the breathing is light and pure, this leads to a feeling of happiness. But a heavy and depressed breathing actually leads to dejection. Breathing canbe developed through exercise, rhythmic breathing exercises, pure living and concentration. The moreyou are aware of the rhythm of your breathing, the more you see the influence of the Elements in your personal life. So the change of breath into different Elements and the associated interaction between feelings and thoughts determine your whole life. 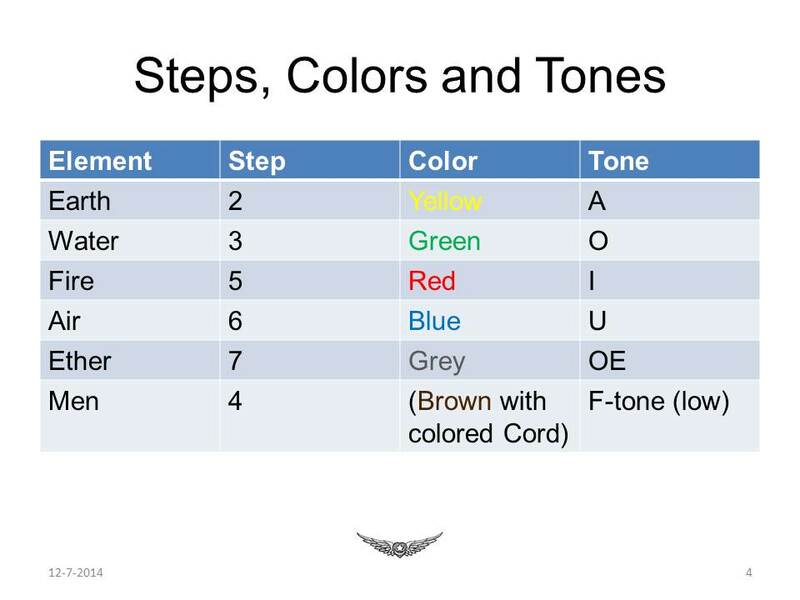 In this table (Sheet 17:Table of the Elements influenced by the Light of Intelligence on the flipchart) you can see the influence of the Light of Intelligence on the Elements. 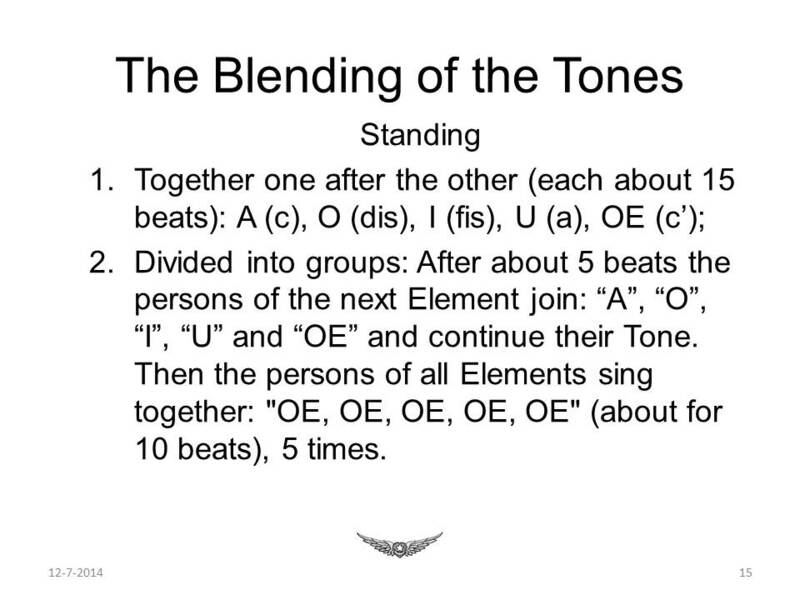 You’re welcome to join our rehearsals and the mystical experience of the Element Ritual. For more information you can look at the website of the Element Ritual: www.soefielementenritueel.nl in four languages. During the ‘Symbology of the Elements’ next year we will continue our deepening in the influence of the Elements in our daily life!